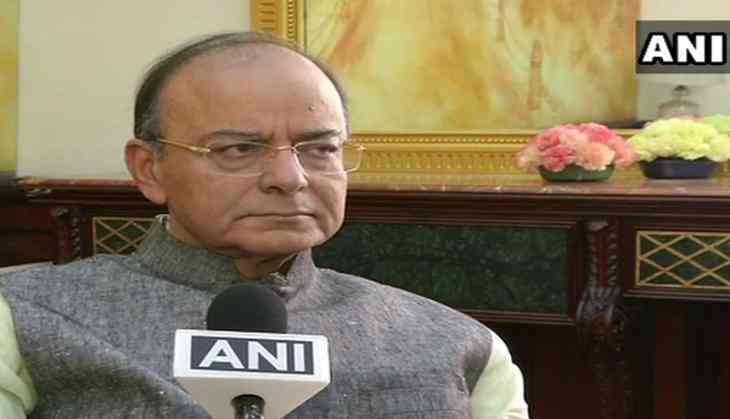 Finance Minister Arun Jaitley on Saturday accused the Congress Party of indulging in anti-national tactics and caste-based politics to garner support in poll-bound Gujarat. Addressing a party press conference here, the senior Bharatiya Janata Party (BJP) leader further lashed out at the grand old party and its frontrunners and said they were making a "suicidal" and "dangerous" move by dividing the state on the basis of caste. "The Congress party is adopting wrong methods to fight the election and taking after Lashkar-e-Taiba (LeT) in using anti-national tactics which are harmful for the progress of the nation. Their corrupt approach to winning the elections is very dangerous for the progress of the state and the nation in general," said Jaitley. "The scenario has always been of BJP versus the rest, and we are used to this majestic isolation since 2002. Development is our foremost agenda in Gujarat, and we aim to make it socially and economically prosperous. While we have a galaxy of leadership to support this, the Congress is solely focused on one member of its family," he added. Responding to Congress Vice President Rahul Gandhi's criticism of economic reforms like demonetisation and the Goods and Services Tax (GST), Jaitley re-iterated that the former 'does not understand GST'. "In the ten years of Congress leadership, they have done nothing to curb black money or corruption, apart from a few minor policies here and there. Everyone knows that under their governance, there was rampant corruption and policy paralysis in India. The economic reforms taken are to curb the black money menace and squeeze funding to terrorists, and also to promote digitisation," he said. Jaitley also assured that any transitional changes or issues faced under the GST will be taken up for deliberation in the forthcoming meetings of the GST Council.